Aimee Willmott has become the second University of East London (UEL) student to qualify for this summer’s Rio Olympics after she was today named in the 26-strong Team GB swimming squad. She joins fellow UEL student Lawrence Okolie, who booked his place in Rio by winning his heavyweight boxing division at the European Olympic qualifying tournament in Turkey on Sunday. Aimee, who is studying for a BSc in Sport and Exercise Science, will be competing at her second Olympics following her Team GB debut at London 2012. Aimee’s selection was confirmed after her strong showing at last week’s British Championships and Olympic Trials in Glasgow, where she won three medals, including a gold in the 200 metres butterfly. In her main event, the 400m individual medley, Aimee was narrowly beaten by Commonwealth champion Hannah Miley but her time of 4min 35.52sec was inside British Swimming’s selection criteria. Having won two silver medals at the Commonwealth Games and European Championships, Aimee is hopeful she can add to her medal collection in Rio. She is currently ranked fourth in the world in the 400 IM after posting a time of 4min 34.82 in Antwerp earlier this year. 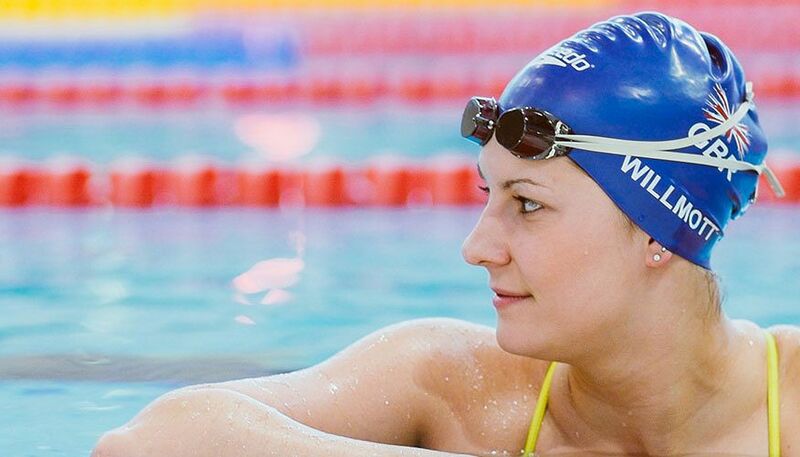 Aimee, 23, combines studying at UEL’s Docklands campus with training in the London 2012 Olympic pool as part of the London Aquatics Centre Performance Programme (LACPP). Lisa Bates, LACPP head coach, said, “We’re all ecstatic that Aimee has made the team and we’re now looking forward to getting back to training on Monday and moving on further.